The Cira immunoassay platform revolutionizes protein biomarker research — combining ELISA’s sensitivity and reproducibility with all the advantages of multiplexing. Only Cira™ delivers on the promise of multiplexing’s throughput and affordability without compromising the sensitivity and consistency of singleplex ELISA. Ciraplex™ assays utilize up to 12 analytes per well printed in a patent-pending circular pattern. This revolutionary assay technology provides consistent incubation with low sample volume, enabling exceptional reproducibility. A large menu of validated analytes across 7 species. 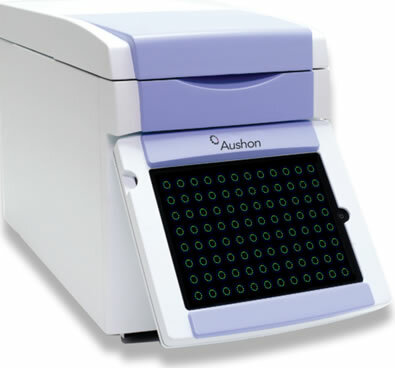 Cirascan™ immunoassay system combines astronomy-grade optics with sophisticated Cirasoft™ software to enhance signal-to-noise ratios for dramatically improved sensitivity, dynamic range and reproducibility. Out-of-the-box installation. No daily start-up or shut-down procedures. Astronomy-grade CCD camera with matched custom lens. Bottom-read imaging eliminates interference from meniscus. Whole-plate imaging ensures consistency across the plate. Fixed focus and automated calculation of optimal image time eliminate manual instrument adjustments. 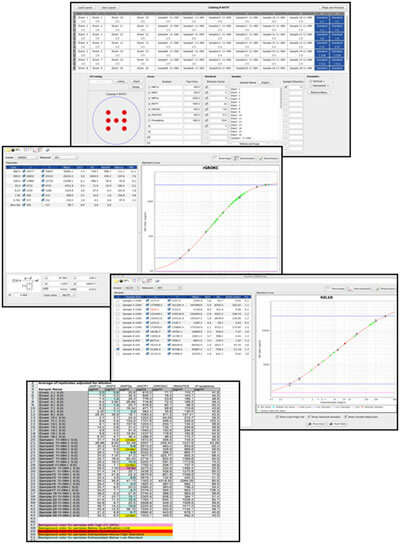 Cirasoft Analysis Software™ & Cirareports™ quickly analyzes and summarizes data from multi-plate studies for instant viewing in your chosen format. View mean values, %CV, standard deviation, and linear quality for each unknown sample for each analyte. Standard reports present data by sample and by analyte. Samples above a user-defined %CV threshold or outside a user-defined detectable range can be flagged. Data from multiple plates of a single array panel is condensed and tabulated in one overall report, eliminating manual cutting and pasting of data. Standard curves from individual plates can be overlayed in one screen. 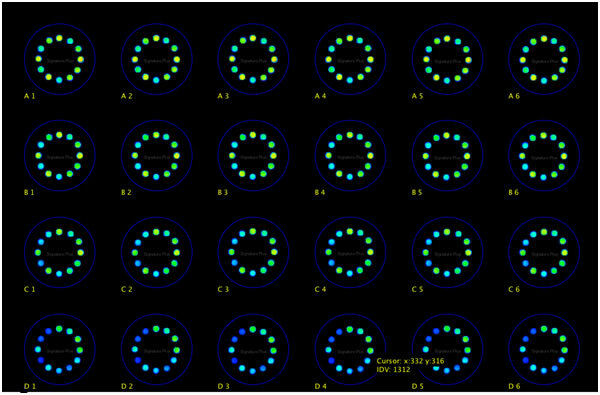 Data for all samples tested for a single array panel are presented in one user-friendly report.